Thought you knew Six13? Think again. Mike Boxer and the talented guys of the cutting-edge Jewish a cappella group are back, and just like their first three albums, their new CD is surprising everyone yet again and re-writing the book on a cappella. 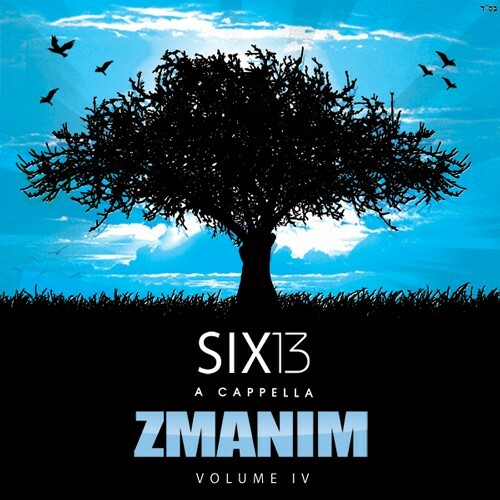 Zmanim, their fourth album, features not only original songs but many of your favorites by other artists — some of the biggest hits from Lipa, Shwekey, Gabay and Fried, to name a few. Didn’t think Six13 had it in them? You’re in for a surprise! The new album also features spectacular guest appearances by Eighth Day, Yitzy Spinner, Pey Dalid, Aryeh Kunstler and more. And of course, the boys are set to make you laugh with one of their notorious parodies — the all-new “P-A-S-S-O-V-E-R” and its hilarious music video will have everyone talking. Looking for the next big thing? When Pesach hits, THIS IS IT.